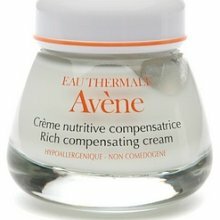 Rich Compensating Cream nourishes and moisturizes your skin while protecting it against environmental aggression. Lipidic complex helps nourish skin and restore the hydrolipidic barrier. Avene thermal spring water soothes and softens. Vitamins C and E provide antioxidant protection. Formulated for normal to dry skin. Hypoallergenic and noncomedogenic.